Kruse Builders, Inc. was established in 1971 with Dale Kruse and his brother Ron Kruse. The name was Kruse Bros. Builders, Inc. In 1993 Dale’s son Kevin Kruse started working for the construction company. In 2002 Ron Kruse decided to retire from the business and Dale bought his brother’s share of the business. At that time, the business name was changed to Kruse Builders, Inc.
Karen Kruse, Dales wife, has always had a major role in the business. She handles the bookwork, payroll, advertising, and works together with Dale to choose style of homes, the exterior and interior designs, light fixtures, tile, carpet, cabinets, counter tops, etc. That was one of the reasons Karen decided to become a Jim Maloof Realtor, she knew the everyday workings of the construction business and she felt that she could help the new home buyer with a lot of decisions and questions that they might have. Their son Kevin has become the head foreman for the company and he’s on the job ever day as well as Dale, making sure the clients wants and needs are met. Kevin also does exceptional trim and finish work on the homes. 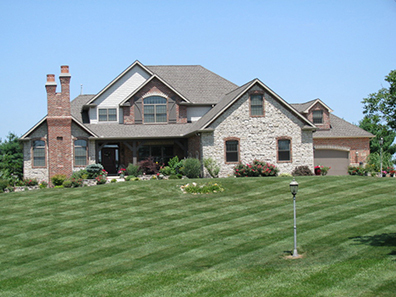 Kruse Builders, Inc. is a family owned and operated business for over 35 years. We care about our clients, and want their home building experience to be one they can look back upon with happy memories.